Jantar Mantar in Jaipur is an astronomical observation site, which is classified as a UNESCO world Heritage site, in the capital of Rajasthan state in India. This Mantar at Jaipur was designed for observing the astronomical positions with the naked eye. This Astronomical Observation Mantar is one among five such Mantars built by Prince Jai Singh II of Jaipur. Each Mandir has a collection of astronomical instruments. Largest stone in the world, sundial, is at Jaipur Jantar Mantar. The Astronomical Observation Center at Jaipur is considered as the largest and the best among historic observatories in India. Others are at New Delhi, Mathura, Ujjain and Varanasi, all in North India. All are believed to be built in the 17th or 18th century during the last periods of Moughal dynasty in India. This Mantar measures time, accurate to half a second. It also helps in observing the sun and other heavenly bodies. How many instruments are there in Jaipur Jantar Mantar? 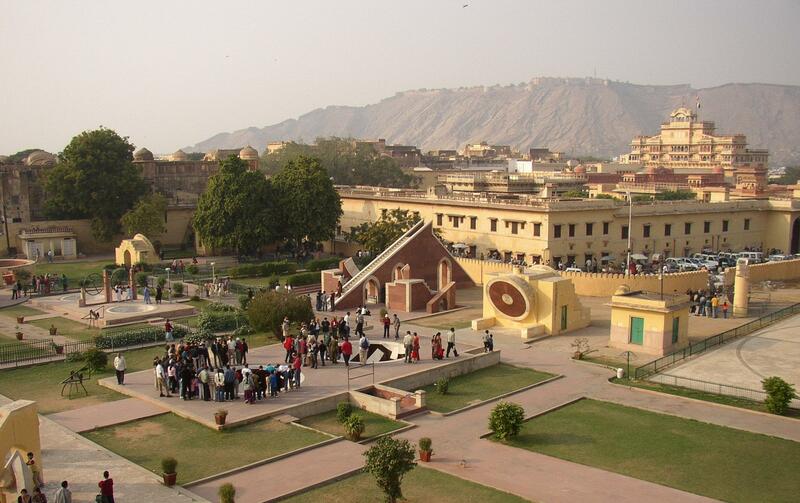 There are fourteen major geometric instruments in Jaipur Astronomical Observation Center. 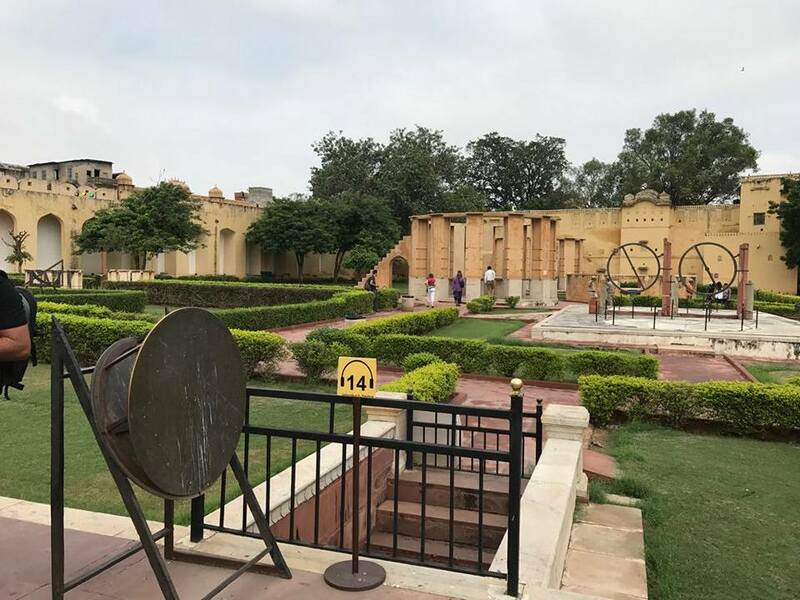 Each of these astronomical instruments at Jaipur Astronomical Observation Center is made from locally available stone and marble (for which Jaipur is very famous), in huge structures. This is one of the main the reasons for the accuracy of the instruments. Each instrument has an astronomical scale, which is generally on the inner side of the marble lining. How Do I Go to Jantar Mantar, Jaipur? Jaipur is well connected by flights , train and roads to other parts of India. There is a major railway station at Jaipur. International Airport is also there in Jaipur. Jaipur city is part of Golden Triangle Tour Packages in India. Contact your travel agent for details on golden triangle tour package price. What are the Visiting Hours at Jaipur Jantar Mantar? 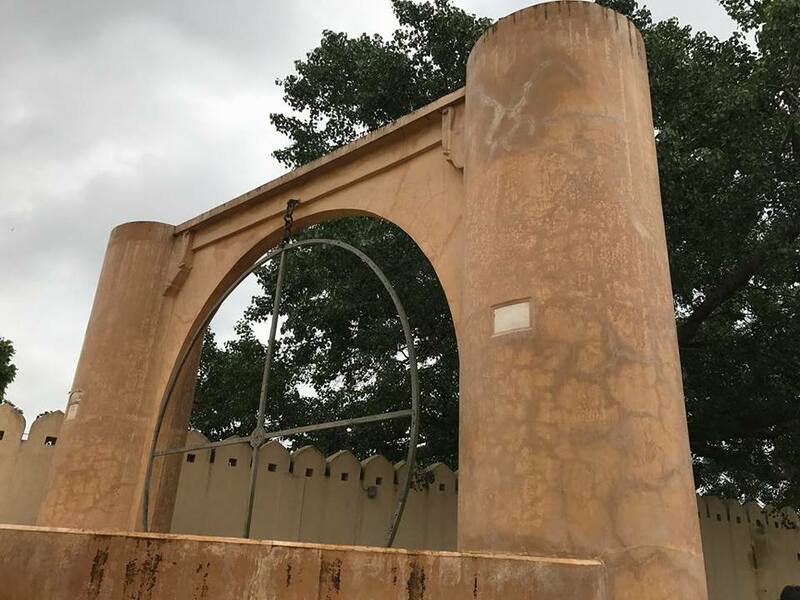 Jaipur Jantar Mantar is open to tourists / visitors from 9.00 a.m. 4.30 p.m.
How Much is the Entry Fee at Jaipur Jantar Mantar? As at the time of writing, the entry fee to the Jaipur Jantar Mantar is INR 15 for Indian students and INR 100 for foreign students. For non-students, the entry fee is INR 40 for Indians and INR 200 for foreigners. Jama Masjid Delhi, Oldest Indian Mosque is at Chawri Bazar Road, Old Delhi India. Built by the great Mughal Emperor Shah Jahan, Jama Masjid Delhi, Oldest Indian Mosque is the largest and most famous Mosque in India. An example of the finest Mughal Architecture, the construction of the Delhi Jama Masjid was started in the year A.D. 1650 and was completed in the year A.D. 1965. Masterpiece of Shah Jahan’s construction was that of Taj Mahal at Agra, one of the seven wonders of the world. 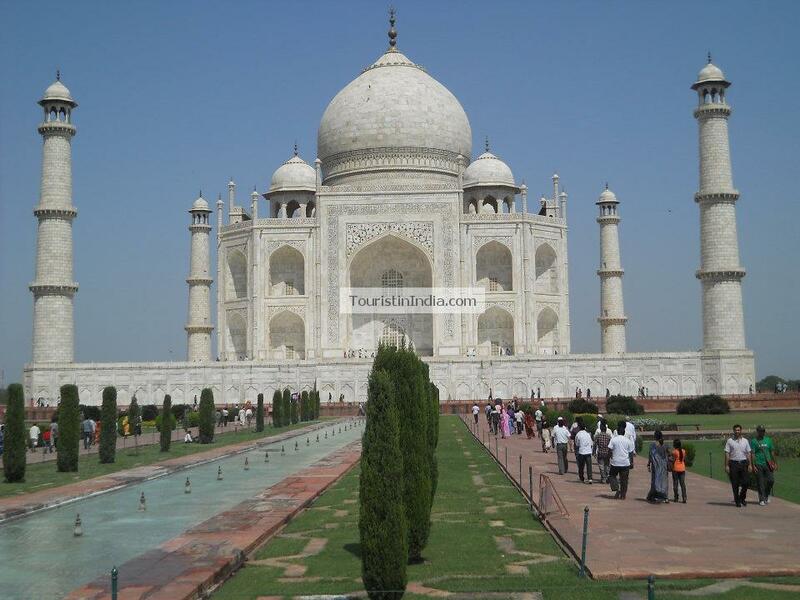 Delhi, Agra & Jaipur is covered in the Golden Triangle tour packages in India. Please call your travel agent to know more about Golden Triangle Tour package price. Emperor Shah Jahan was the fifth Mughal emperor after Babar, Humayun, Akbar and Jahangir. Emperor Shah Jahan ruled from A.D. 1628 to 1658 and died in A.D. 1666. His son Aurangzeb imprisoned Shah Jahan and became the 6th Mughal emperor in 1658. Jama Masjid Delhi, Oldest Indian Mosque is situated opposite to the Red Fort Delhi where Prime Mister of India hoists the national flag on Independence day, i.e. 15th of August, every year. The Juma masjid Delhi can easily accommodate 25000 perople for prayers at a single time. The Jama masjid in Delhi, oldest Indian Mosque, has a copy of an antique Quran written on the Deer skin. Jama Masjid is the most infulential mosque in India and is at the center of India News for Muslims in India. Chawri Bazar, the deepest underground railway station in any of the Delhi metro railway lines, at 30 meters below ground level, on the Delhi Yellow metro line from Huda City Center in Gurgaon to Jahangirpuri, is the nearest Delhi Metro railway station for reaching the Jama masjid in Delhi. There are 18 escalators to reach this depth! Taking the metro train or city bus is the easiest mode to reach Jama mosque Delhi, as old Delhi is very crowded and taking your vehicle (even a two wheeler) and getting a parking space is next to impossible. Chawri Bazar Delhi metro railway station is very close to New Delhi railway station ( next station on the Yellow line) and Old Delhi railway stations. For those outstation travelers, New Delhi is the nearest major railway station to this Mosque old Delhi. Then you can board the yellow line metro train at New Delhi underground metro station. New Delhi metro station is connected by Delhi Airport Metro Express Line to Indira Gandhi International Airport in the Orange Line. This line was initially operated by a Reliance Infrastructure Ltd’s subsidiary company and from 1st July 2013 is being operated by DMRC.